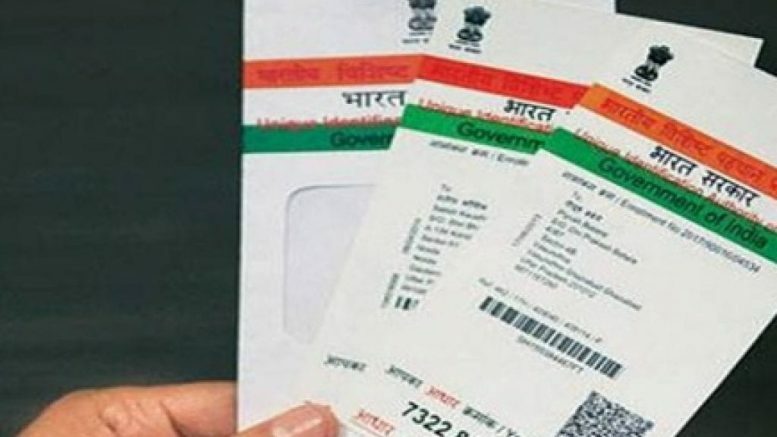 His Government was in consideration over the linking process of driving license with Aadhaar Card, said by the Union Law and Justice Minister, Ravi Shankar Prasad. As per the report, he had a discussion with the Union minister Nitin Gadkari of linking Aadhaar card with the driving license so that it would help to catch the drunk drivers if they ‘escape from one state to another after killing people and he would be caught. The law minister said A person can alter his name but will fail to change his fingerprints.” At a press conference to the reporters on Tuesday. In the month of September also, the law minister had articulated the same thing that his Government is in consideration of linking driving licenses with Aadhaar Card. The minister said the sole reason is to restrict the mismanagements at the time of the issuance of driving licenses. Previously in April, it was reported that the Union cabinet had emphatic to link issue of driving licenses and vehicle registration to Aadhaar Card as well. According to a report, the NDA government recommended an all-India register for vehicles and driving licenses to eradicate the fraudulence. The Union Minister Nitin Gadkari apparently said that procedures like vehicle registration and driving licenses Aadhaar-based would assist the authority to verify the enrollment of thieved vehicles. The government also considers that Aadhaar will formulate the authentication process of driving licenses comfortable. The Road Transport Department of every state has the right to issue Driving Licenses to the citizens of the country. Be the first to comment on "Center To Introduce Linking of Driving License With Aadhaar Process Soon"